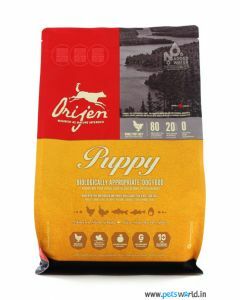 Orijen is a premium quality pet food manufacturer providing high-quality ingredients for nurturing your pet according to their evolutionary requirements. Dogs and cats have an anatomy similar to their ancestors who thrived on a diet rich and varied in fresh meat and protein. 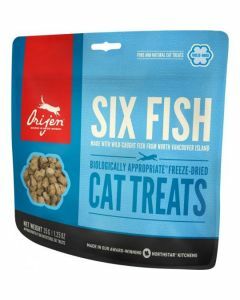 The brand gives your pet whole nest laid eggs, ranch raised meats and fresh free-run poultry providing protein of high biological value for mirroring your pet’s natural diet in the wild. 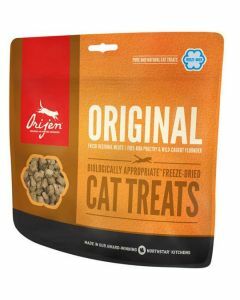 We at Pets World provide you with a wide range of ORIJEN products for helping your pet lead a healthy and active lifestyle. 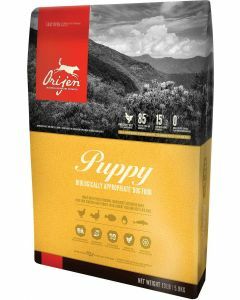 Orijen’s Fresh regional ingredients are biologically appropriate and are delivered in WholePrey ratios for supplying virtually every nutrient your pet needs. 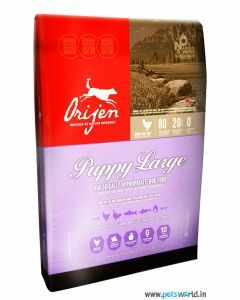 The constituents present in the Orijen diet are gently freeze-dried in order to lock the nutritional content of the food. 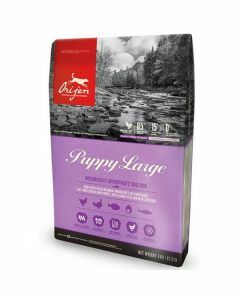 Essential fatty acids like Omega 3 and Omega 6 gives your pet a healthy skin and a shiny coat. Having a reduced carbohydrate and a low glycemic index in the foods makes it anti-diabetic and help dogs and cats to maintain an ideal body weight. 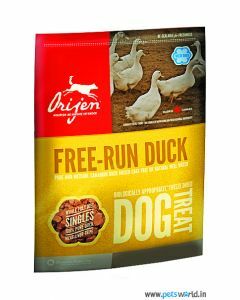 Orijen products are completely free from artificial additives and flavours making it available for pets with allergies too. 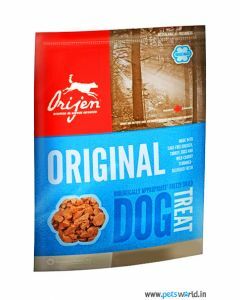 At Pets World, you can find a variety of Orijen products like Senior, puppy large breed and original dog food for the selective breeds along with dog and cat treats for thoroughly rewarding your pet. 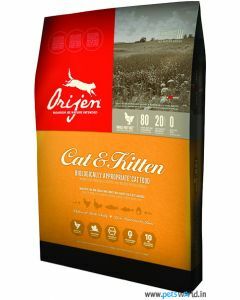 You can find all the information on the nutrition facts and ingredients of every product of Orijen on our website for choosing the most fitting meal for your beloved pet.